Chickpeas are most commonly sold dried and must therefore soak in water for 12-24 hours before cooking. Afterwards, chick peas with their slightly nutty taste can be made into stews, soups or purées or used as part of salads or several couscous dishes. Chickpeas are also the famous base ingredient of falafel and hummus in the oriental cuisine. Chickpeas belong to the family of pulses but are - differently from what the name indicates - not related to peas. As early as 8000 years ago, chickpeas were grown in Asia Minor, probably they region of origin. Today, the plants, which grow up to 1 m high, can be found in many subtropical regions of the world. The pulse of the chickpea plant is approx. 3 cm long and contains in general two edible seeds, the chickpeas. They are distinctly larger than our green peas, have a beige, sometimes black, colour and are unevenly wrinkled after drying. 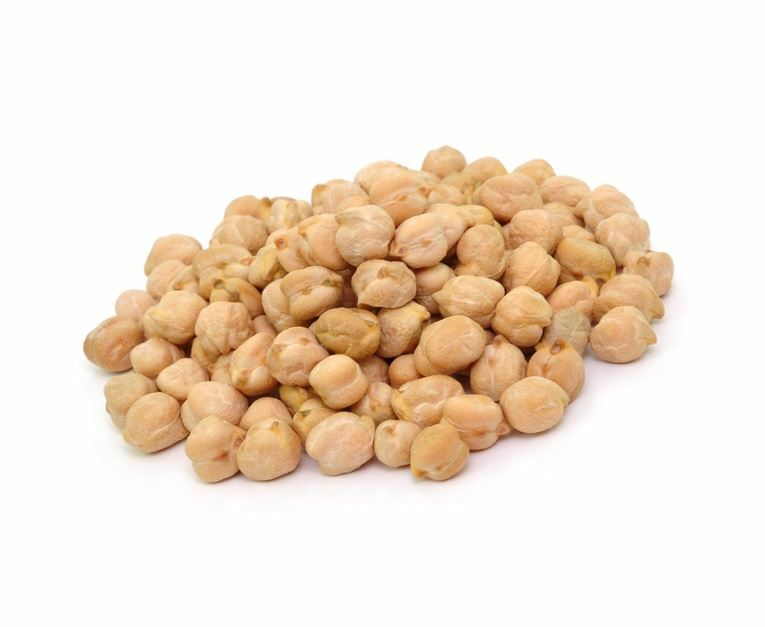 Chickpeas contain many carbon hydrates, protein, fibre and mineral nutrients, especially magnesium, iron, and zinc. Furthermore, their content of vitamins B1 and B6, folic acid and the essential amino acid lysine is very high.